3 months after 20 people were killed in a limousine accident in Schoaries, NY (see previous blog), the National Transportation Safety Board has still not been able to inspect the vehicle. The NTSB has not been able to get closer than 15 feet from the vehicle because the local district attorney is blocking them from doing so. The accident was the deadliest of all traffic accidents in the US since 2009. The vehicle was a modified 2001 Ford excursion that had failed a state inspection and was driven by a driver that didn’t have the credentials to drive such vehicle. 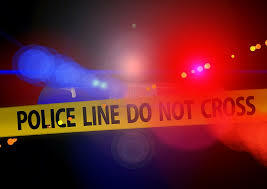 In certain area such as aviation or train transportation, the NTSB has the legal authority to control the investigation but in highway crashes, local authorities are in charge and in this case the local district attorney has been keeping the federal agency from completing their investigation. 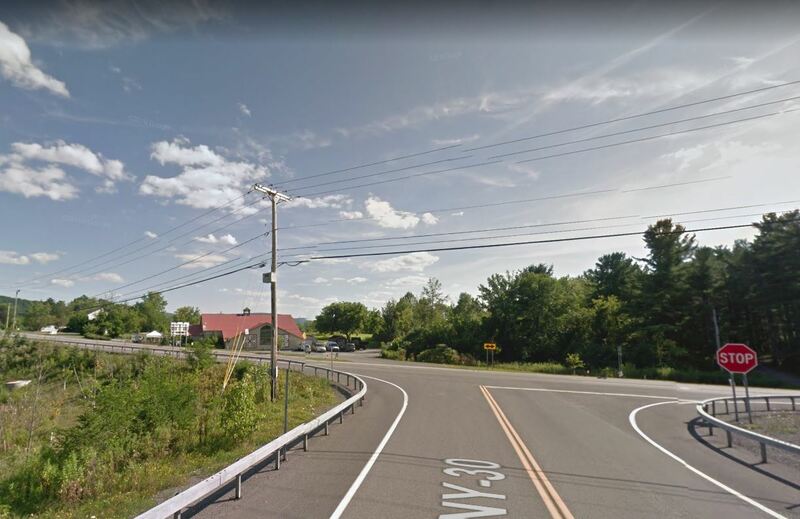 After 20 people died in a limousine accident in Schoharies, NY, the first result of the investigation indicate that the limousine wasn’t supposed to be on the road because it had failed inspection and that the driver who blew the stop sign didn’t have the proper license to drive a stretch limo. Additionally he was also recently busted twice on drug charges. The limousine belonged to Prestige Limousine, a shoddy company operating out of a low budget hotel that has a history of failed inspections. Its shady owner, Shaheb Hussain, became a federal informant after he was caught in a scheme to illegally obtain driver’s licenses in the Albany area. Yesterday, officials suspended Prestige Limousine operations and seized 3 vehicles. The limousine was transporting 17 friends – four sisters, two brothers and several young couples – on their way to a birthday party. They were supposed to be picked up by a party bus to go to a brewery in Cooperstown but they were informed that the bus broke down on its way to pick them up. Instead they were picked up by the shoddy stretch limousine. Some of the people on board texted relatives that they were worried about the vehicle conditions. Speeding and maybe alcohol may have caused the death of two off-duty police officers who went for a joy ride in a rental Maserati after a wedding celebration. Last Sunday afternoon, NYPD Officer Michael Colangelo married Katherine Berger at the Full Moon Resort in Big Indian, Ulster County. After the celebration was over, a little bit after 11:00 pm, detective John Martinez who had worked in NYPD’s special operations with Colangelo in the past and another unidentified passenger went for a joy ride in a Maserati rented for the wedding. Sadly they never came back, the car hit a tree killing both the driver and the front-seat passenger . The unidentified back-seat passenger was rushed to the hospital and is expected to survive. The 31 year old groom was behind the wheel when he lost control of the vehicle and crashed in into a tree. He was speeding and neither he and his friend Martinez were wearing a seatbelt. 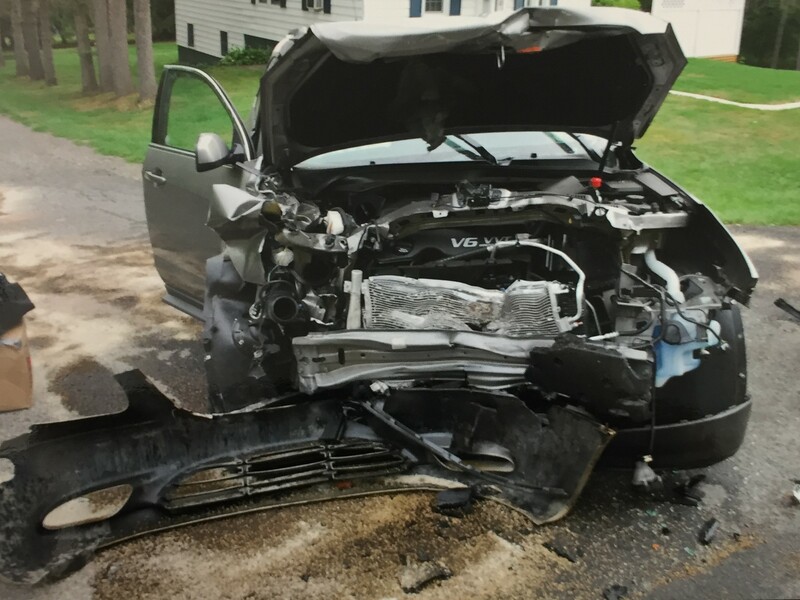 The backseat passenger who only suffered injuries was wearing a seat belt. An intoxicated driver lost control of her vehicle and crashed into a busy Weschester restaurant injuring multiple people including 4 critically. The tragedy occurred at Enzo, a popular Italian restaurant in Mamaroneck on Sunday night around 8:00 pm. 79 year old Roseanne Cassano of Yonkers just had diner at Enzo with a friend and both women left the restaurant and got into Roseanne’s car that was parked in a handicap parking space. According to witnesses, the women stayed in the car for almost 10 minutes before Roseanne started to back up. The video below shows the driver trying to exit the parking space, first clipping a car before crossing the street in reverse and crashing into the restaurant. 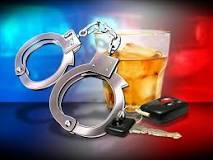 The intoxicated driver injured 9 people including 4 critically. When the police arrived, the woman refused the voluntary alcohol test and the police had to get a court order. She is due back in Court on Thursday after being released on bail. 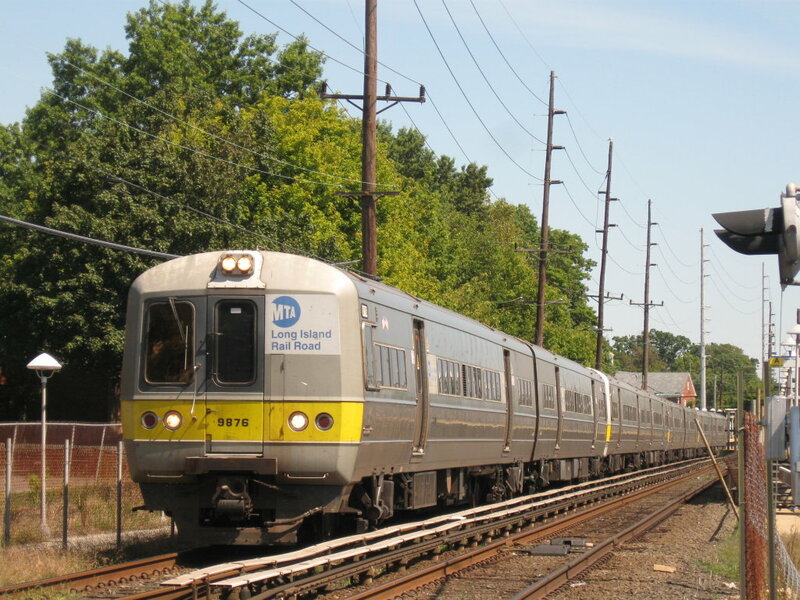 A woman died after her car that crashed onto the Long Island Rails Road tracks was hit by a train. The high winds may have pushed the car onto the tracks according to the preliminary investigation. 29 year old Elizabeth Gallager lost control of her car near the Port Jefferson branch of the Long Island Rail Road in East Northport. She crashed down an embankment onto the tracks. A train plowed into the car around 2:10 am. The service was suspended for 5 hours. Investigators are not sure if the young woman died when the car hit the tracks or after the train hit the car. Gallager who is a teacher had a second job at a restaurant. 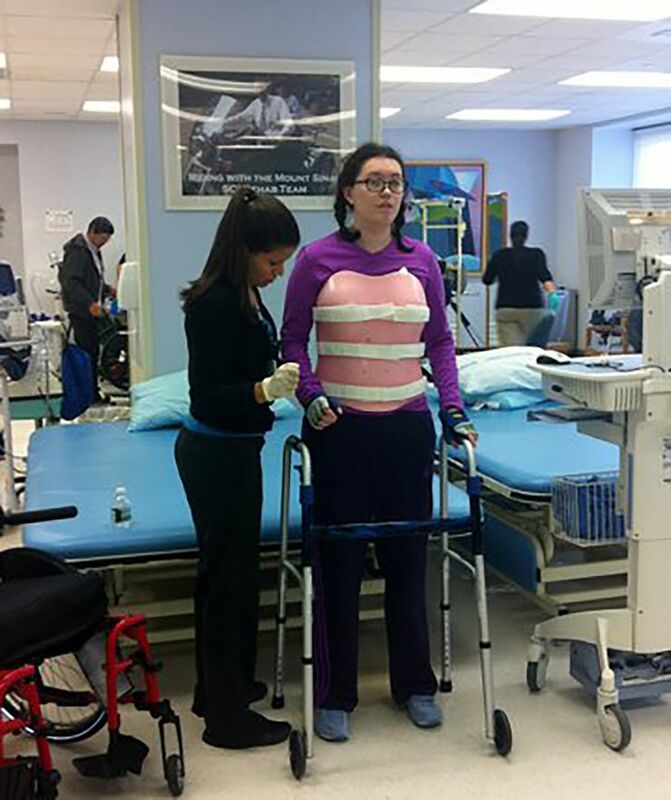 She was driving home in a powerful storm that pummeled Tri-State Area when the accident occured. She’s among the 9 victims who died in the NorthEast Winter storm. Ben Rubinowitz, managing partner at Gair, Gair, Conason, Rubinowitz, Bloom, Hershenhorn, Steigman & Mackauf just obtained one of the largest verdicts ever in the Country for a Spinal Injury case. The Plaintiff, Morgan Wang, was awarded $71 Million by a Manhattan Jury last Thursday. The case was tried before Supreme Court Judge James d’Auguste. After 3 weeks of trial, the Manhattan Jury awarded Ms. Wang a stunning amount of money to fully and fairly compensate her for injuries suffered in a car accident in New York in August of 2012. The jury awarded $5 million for her Past Pain and Suffering, 6 Million for her Future Pain and Suffering and 60 Million for her medical needs over her lifetime. “We put in an incredible amount of time and effort to make sure Morgan received Justice” said Ben Rubinowitz, who represented Morgan at trial, noting that “this young girl suffered life changing injuries.” She came to the right law firm. “We have a tremendous amount of expertise with Spinal Cord Injuries and no one will work harder or prepare for trial better than us” said Rubinowitz. A woman died in a car accident after she entered the highway the wrong way. Two other people were severely injured. The accident occurred early Sunday morning. 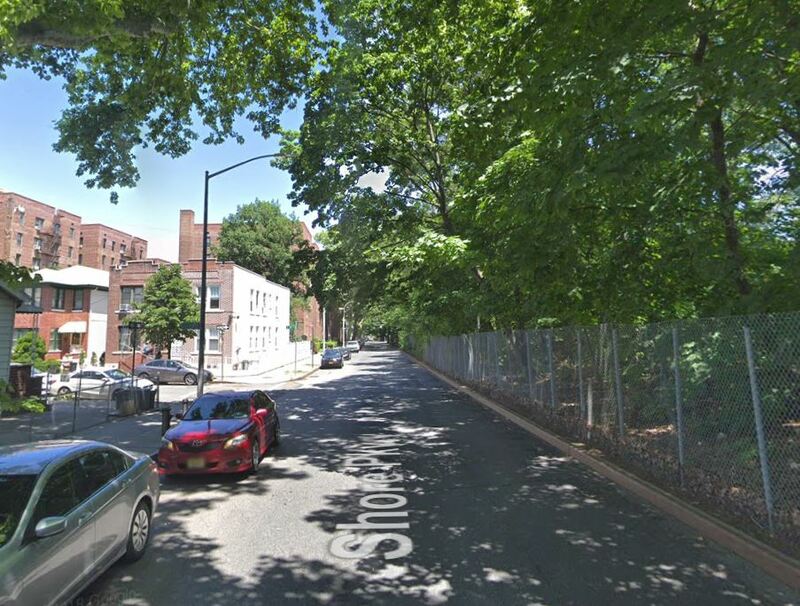 The driver of a dark grey SUV entered the North Bound lanes of the Hutchinson River Parkway in Scarsdale the wrong way and started to drive against traffic. The police received the first report of a car driving the wrong way just before 4:30 on Sunday morning but it was already too late. The dark grey SUV hit another grey SUV head-on. The driver of the car driving the wrong way was killed in the accident. The passenger as well as the driver of the other car were both critically injured. The driver of a black sedan who swerved in the grass on the side of the highway to avoid the collision was fine. A man working at a gas station just north of the accident told CBS News that it wasn’t the first time that a car was driving the wrong way on the parkway. He said it was happening quite often. The parkway was blocked for 11 hours to allow investigators to complete their accident reconstruction. It is still too early to know if alcohol or drugs were a factor. The investigators also still didn’t know where the driver entered the parkway. In recent years, there were several wrong way accidents in Westchester. Some say confusing signalization may be a factor. In New York Sate, car crashes involving distracted drivers killed 160 people and injured more than 33,000 in 20015 according to a study from the Institute for Traffic Safety Management and Research that was published a few months ago. The study estimates that around 20 to 22% of the fatal car accidents in New York State are related to distracted driving. The problem is not only in New York but all over The United States. 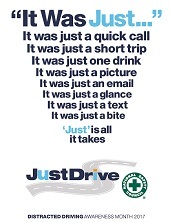 Nationally during the whole year of 2015, 3,477 people died and 391,000 were injured in distracted driving accidents. April is “Distracted Driving Awareness Month” and during the whole month the National Safety Council (NSC) is campaigning to crack down on this epidemic. The NSC invites organizations and communities to share information about distracted driving. Various material is available to download on their website.